Somewhere on the list of things that people don’t want to do, there’s one particular task that’s sure to set off a collective groan: creating and filling out forms. JotForm has been working for years — literally — to cut the hassles, headaches, and humdrum out of forms. We’ve created library of more than 370 widgets that are designed to customize your forms, save you time, and make the form-filling process less painful. Widgets, in a nutshell, are small applications that provide an added layer of functionality to your form-building or -filling experience without opening a new web page or redirecting you elsewhere. The best part is that you can add JotForm widgets to your form in a snap, and, if you have a some coding skills, you can even customize the way some widgets work. We rummaged through our widgets library and found nine that can improve the look of your summer camp forms and the process of navigating through them. 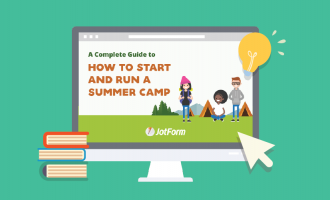 Filling out forms may never be as fun as going to summer camp, but you can turn the entire experience into a pleasant one with JotForm’s vast collection of handy widgets. No one likes to slog through a form, especially if a good portion of it is filled with long legal language for waivers or consent agreements, among other things. The Terms & Conditions widget can shorten your forms by providing a checkbox with a short acknowledgement and an external link to your required disclosure statement. This widget, in turn, requires all form respondents to click the checkbox before submitting their forms — this certifies that people have read and understand your disclosure statement. Once you place the widget on your form, all you need to do is provide a link to a file-hosting service or website that can store and display your legal document.  You can even change the default language for the acknowledgement to meet your needs. Signatures used to be a sticking point for online forms. When signatures were required, people had to fill out the online form and then print it out and sign it by hand. Electronic signatures have upended this practice and now serve as a legally binding alternative to hand-written signatures. The E-Signature widget in JotForm’s form builder allows people to draw their signatures on a form. Regardless of whether people access a form on their mobile device, laptop, or desktop, a cursor or fingertip will work just fine when it’s time to sign on the dotted line. This widget is particularly helpful when you need campers or their families to sign liability waivers, medical forms, or consent forms. It’s often said that a picture is worth a thousand words, and the same can be said about images that showcase memories from past camps. 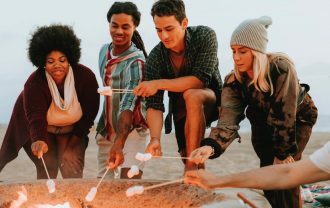 If they haven’t been to your camp yet, potential campers and their parents will develop impressions of your summer camp based on the pictures displayed on your website or in your marketing materials and forms. The Image Slider widget allows you to not only place a photo gallery in your form but also to control how your images are displayed. After adding the widget and uploading your photos, you can set your image transition preferences and determine how long each image is displayed. If you’re running a camp with multiple activities that have a limited number of available spots, the Appointment Slots widget can automate the scheduling process for you. It allows people to make reservations for specific events on certain dates or at certain times. For example, a three-day sports camp may have four training sessions each day, with a limit of 15 people for each session. Rather than allowing too many people to register for each session, the appointment widget automatically closes registration for specific dates or times once the maximum number of reservations is made. The widget also displays the number of slots available for a specific time and reduces that count as people submit their forms. Just drop the widget onto your form and type in the details for dates, times, activities, or events. Wrap everything up by setting the maximum number of reservations. Filling out a form shouldn’t be like taking a test, although multiple choice questions can certainly make it feel that way sometimes. Break up the monotony in your forms with JotForm’s Checklist widget, which allows people to answer questions by selecting multiple answers displayed in a checklist. Campers, for instance, can show off their skills by selecting which positions they have played on a sports team. Meanwhile, missionaries can let you know how they can help on planned mission trips by disclosing their level of expertise or skills for certain tasks. After placing the widget onto your form, all you have to do is type in the question that you want to ask and outline the selections that people can make. You can also show or hide all unchecked items when a form is submitted. There may be more than one way to answer a question, but too many multiple choice questions and checklists take up space and make a form too lengthy. JotForm’s Multiple Selection widget allows people to select more than one response from a collapsible dropdown list. 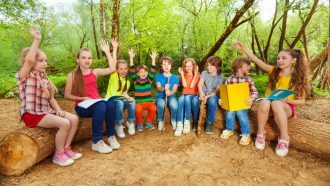 As an example, campers with more than one allergy can disclose all of them in a single space. This option is easier than requiring campers to search through an extensive multiple choice list, which may not even include their specific allergies. As the form creator, you’ll control how each question and selection is worded. You can also disable the multiple selection feature without deleting the widget. If this happens, people who fill out your form will be able to select only one answer from a dropdown list. It’s no secret that we all make mistakes on forms. Wouldn’t it be nice if people could review their answers before sending a form off into cyberspace? The handy Preview Before Submit widget allows people to fill out a form and review all of their information before sending it off. This widget can reduce the number of requests that you field to correct errors on summer camp forms. And it can eliminate the extra time, effort, angst, and even money campers and their families spend to deal with mistakes on their forms. The widget appears at the bottom of a form as a button, which can be modified to show a specific prompt. Since you’re in the driver’s seat, you can determine how the preview version of your form will look by controlling which questions can be reviewed. You can even allow campers to print a copy of the form while they are reviewing their answers. Ever filled out a form that took longer than you expected to complete? Or have you ever wanted to know how long a form is so you can set aside enough time to get it done? This is a common issue that JotForm’s Progress Bar widget solves by tracking a person’s progress as they fill out a form. Their progress, in turn, is displayed in a status bar above the form, which lets them know how much information has been filled in and how much more is needed. This widget is particularly useful for longer forms and can be modified to exclude certain questions when a person’s progress is measured. You can even put a personal touch on it by changing the widget’s themes and dimensions, along with any prompts that form respondents will see.